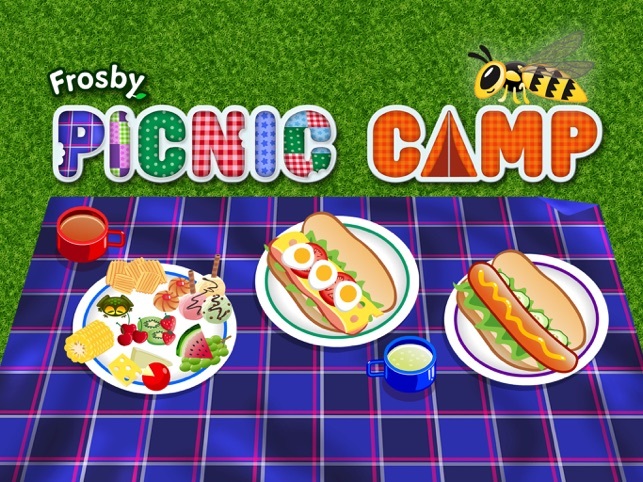 Frosby Picnic Camp is a delightful game for 2-5 year olds in which children can make their own picnic, learn how to pitch a tent, interact with animals and explore a beautiful park setting. 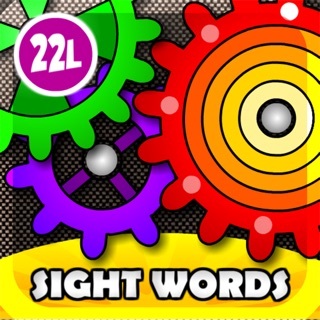 Designed especially for the iPad with stunning HD graphics. 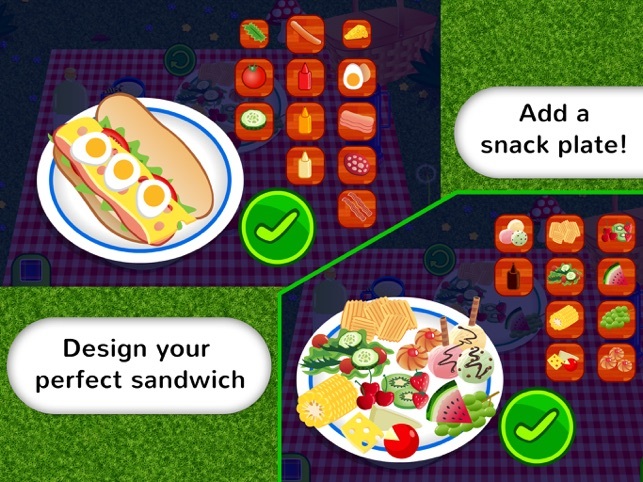 - Make your own picnic, choosing from a range of delicious sandwich toppings and picnic snacks. - Pour drinks and learn that sweet fizzy lemonade attracts wasps! 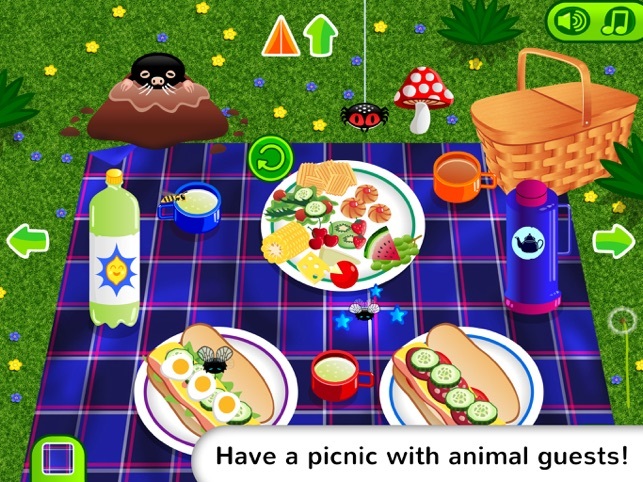 - Interact with animals who want to join in and share your picnic! - Pick from a set of classic blanket designs. - Swat flies off your sandwiches and give them to the spider. 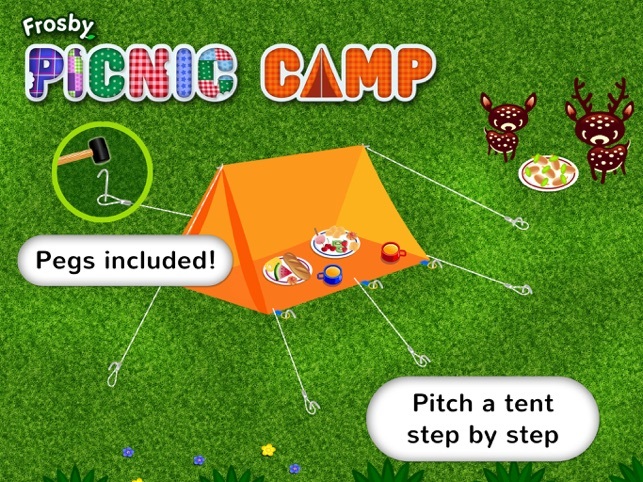 - Learn how to pitch a tent, step by step with child-friendly pointers. - Learn to feed ducks nutritious cracked corn instead of bread. - Put litter in the bin, and feed a hedgehog! 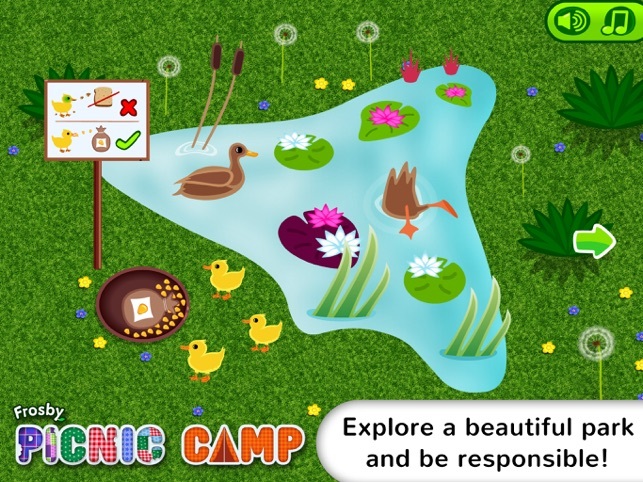 - Child-friendly interface which lets them play freely. 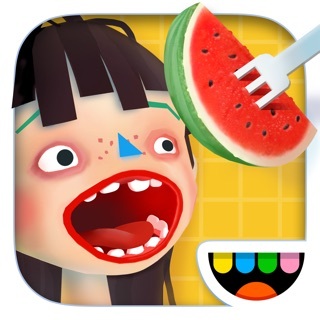 - Frosby quality sound effects: Touch food to hear realistic eating sounds! 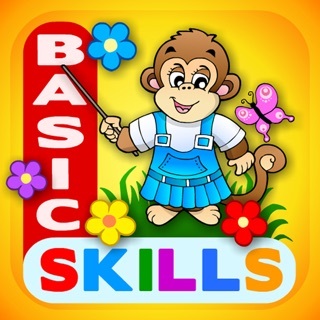 - Frosby quality animations: many more cute animal animations, including touchable dandelions! 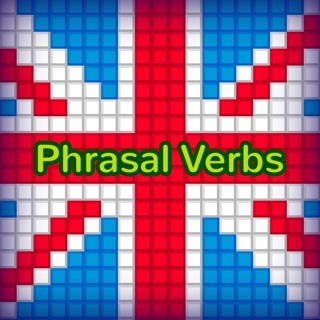 © 2013 Frosby Designs Ltd.